Rishonim 2/3 SSH, Confirmation Shabbat and dinner, and more! Friday, May 3, 6:15-7:15 p.m. - Join us for our last Community Shabbat dinner of the year. Our evening begins with the Tree of Life Shabbat Service at 5:30 p.m. (for younger families 3rd grade and below) followed by Shabbat dinner beginning by 6:15 p.m. Our Shabbat Hallelu Service (for families with older children) will begin at 7:15 p.m. Please click here to RSVP for dinner by Monday, Apr. 29 so we can plan food and seating accordingly. Cost: $20 adults; $15 children & seniors; free for children 5 and under. Confirmation Dinner - Friday, Apr. 12, 7:30 p.m.
K'tanim - Sunday, Apr. 14 4:00-6:00 p.m.
Kesher - Wednesday, Apr. 17 4:50-6:00 p.m.
WNP Middle School - Wednesday, Apr. 17 6:00-8:00 p.m. Parents invited at 7:40 p.m. to hear about program updates for next year! WNP High School - Wednesday, Apr. 17 6:00-8:00 p.m. Parents invited at 7:40 p.m. to hear about program updates for next year! Rishonim - Sunday, Apr. 28 9:30-11:30 a.m.
Community Shabbat Dinner - Friday, May 3 6:15 p.m. The security of our community is of paramount importance and we appreciate your help in creating a culture of security. 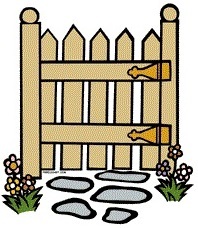 We ask that you do not prop open the front gate or building doors at any time. If you need a reminder of the Gate Access Code, please contact the temple office. This Sunday, Apr. 14 9:30-11:30 a.m.
Rishonim 2/3 SSH: Sunday, Apr. 14 9:30-11:30 a.m. We're so happy to have our 2nd and 3rd grade Rishonim students helping to make about 350 lunches for hungry people in our county for our first Sunday Sandwich Hevre (SSH) of the school year on Sunday, April 14. An email has been sent out to 2nd- and 3rd-grade parents. Online signups for donations and volunteering are located here. Please direct questions to Rabbi Lisa. Next Session: Sunday, Apr. 28 9:30-11:30 a.m.
Community Shabbat Dinner Friday, May 3, 6:15-7:15 p.m. - Join us for our last Community Shabbat dinner of the year. Our evening begins with the Tree of Life Shabbat Service at 5:30 p.m. (for younger families 3rd grade and below) followed by Shabbat dinner beginning by 6:15 p.m. Our Shabbat Hallelu Service (for families with older children) will begin at 7:15 p.m. Please click here to RSVP for dinner by Monday, Apr. 29 so we can plan food and seating accordingly. Cost: $20 adults; $15 children & seniors; free for children 5 and under. For any additional Rishonim related questions or concerns please contact Rabbi Lisa ( rabbilisa@ptbe.org). This Sunday, Apr. 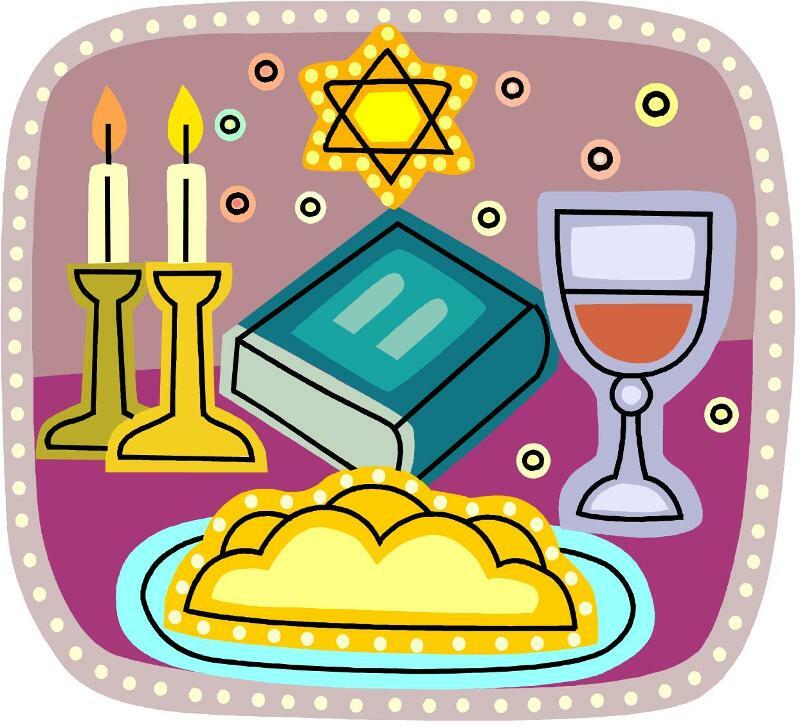 14, 4-6 p.m . - K’tanim will be celebrating all things Passover! We will welcome special guest Elana Jagoda Kaye to teach us songs from her Passover album, “Seder Song Revival.” This will be our last Sunday session for the school year. For any additional K'tanim related questions or concerns please contact Alison Levy ( alevy@ptbe.org) or Rabbi Lisa ( rabbilisa@ptbe.org). Wednesday, Apr. 17 4:50-6:00 p.m. - Dinner will be Chinese food. Wednesday, May 1 4:50-6:00 p.m.
For any additional Kesher related questions or concerns please contact Rabbi Lisa ( rabbilisa@ptbe.org). Home Practice assignments for Hebrew here. For a refresher - Alef Bet and vowels are here. For any Hebrew related questions or concerns please contact Rabbi Lisa ( rabbilisa@ptbe.org). Wednesday, Apr. 17 6:00-8:00 p.m. - Dinner will be Chinese food. SMRTY will speak with the 8th grade on "What I Wish I Knew in High School" during the first hour. The 7th grade will speak with Rev. Kristi about Interfaith activism during Mitzvah Corps and then have their regularly scheduled electives. 6th graders will have their normal schedule. We welcome parents to come at 7:40 p.m. to hear about exciting updates to our program offerings for next year! Wednesday, May 1 Schedule Change - There will not be WNP at PTBE. Please join us at Congregation Beth Jacob for the Community-wide Yom HaShoah commemoration. Calling all 8th-12th graders! - Join NFTY Central West Region for a weekend in the Redwoods at YMCA Camp Jones Gulch as we bring our Kehilah Kedosha together for the final event of the year. We will celebrate shabbat through laughter and music, say goodbye to our Seniors, welcome new members into our community from all grade levels, and have some seriously BIG FUN. All first time participants receive an additional $100 off! We can’t wait to see you! More info here. For any additional 6th grade related questions or concerns please contact Rabbi Lisa ( rabbilisa@ptbe.org) and for any additional 7th/8th grade related questions or concerns please contact Rabbi Laura ( rabbilaura@ptbe.org). Confirmation Dinner, Friday, Apr. 12 - Thank you to everyone who RSVP'd. We look forward to being with you for Shabbat services followed by dinner tomorrow. Wednesday, Apr. 17, 6:30-8:00 p.m. (6:00 for those signed up for dinner) - Dinner will be Chinese food. We will do a fun Passover-related activity, and then at 7:10 p.m SMRTY will meet with High School to discuss next year's events and elections. We welcome parents to come at 7:40 p.m. to hear about exciting updates to our program offerings for next year! Confirmation Only: Wednesday, Apr. 24, 6:00-8:00 p.m. - Dinner will be Matzah Ball soup and salad from Urban Bistro. Special Opportunity for Teens and Parents: Saturday, Apr. 27, 6:30-8:30 p.m. Join professional chef Aliza Bishulim for a fun, hands-on celebration of Mimouna, a North African Jewish celebration held the day after Passover, marking the return to eating all kinds of delicious bread products. Learn to prepare traditional homemade mufleta, mini knaffe, mini baklava and herbal tea and talk about the connection between food and Jewish identity. Space is limited-please RSVP by Apr. 21 to reserve your spot. The price of admission is $15 per person. No refunds for cancellations after Apr. 21. For any additional High School related questions or concerns please contact Rabbi Laura ( rabbilaura@ptbe.org). Apply Now for Jewish Women's Archive's Rising Voices Fellowship - The Rising Voices Fellowship (RVF) is a national, ten-month program that brings together Jewish, female-identified teens in 10th-12th grades who have a passion for writing, demonstrated interest in social justice issues, and a strong interest in Judaism and feminism. Applications can be submitted now and are due by April 15, 2019 . Submission information, deadlines, and additional materials are available on our website: https://jwa.org/risingvoices. If you have any questions, please don’t hesitate to reach out to Larisa Klebe , JWA Associate Director of Programs and Education. Calling all WNP and Rishonim parents - We want YOUR voice in the community-wide listening campaign about Tikkun Olam at PTBE. This is your last chance this spring to share stories with other PTBE members and build a social justice community. We have meetings scheduled on Sunday, April 14; Wednesday, April 17; Wednesday, April 24; Thursday, April 25; and Sunday, April 28. Please see the sign up sheet for more details. Yom HaShoah - On Wednesday, May 1, 2019, Congregation Beth Jacob will host a community-wide commemoration featuring Special Guest Speaker Lily Robinson, who will share the story of how she and her family survived the Holocaust in Bulgaria. Reading of Martyrs' Names will begin at 6:30 p.m., with a Service of Remembrance at 7:00 p.m. followed by a dessert reception. Services will be held at Congregation Beth Jacob, 1550 Alameda de las Pulgas, Redwood City. For more information, transportation assistance, and to submit names for the list of martyrs or of recently deceased survivors, email the planning committee . Camp Newman Summer 2019 Registration is Open - Click here to learn more.